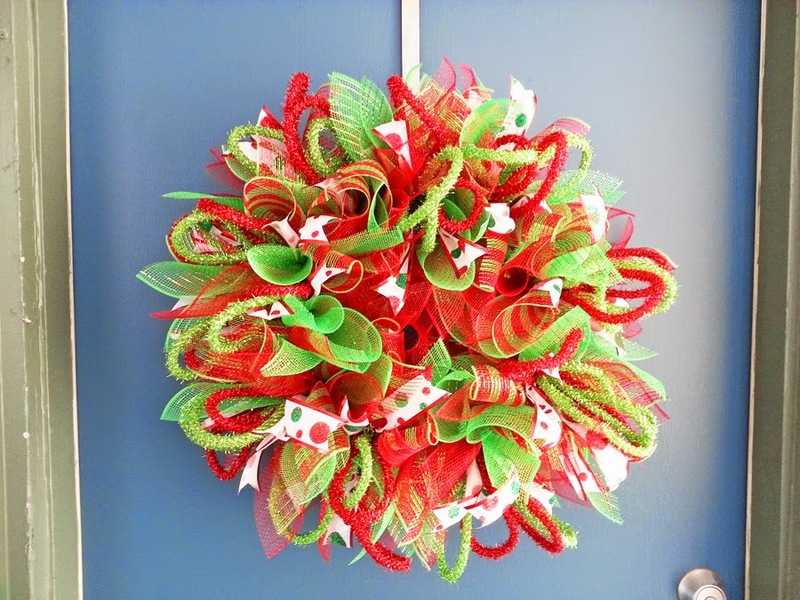 Another big and beautiful Christmas Wreath I made for 2014 Holiday Season. 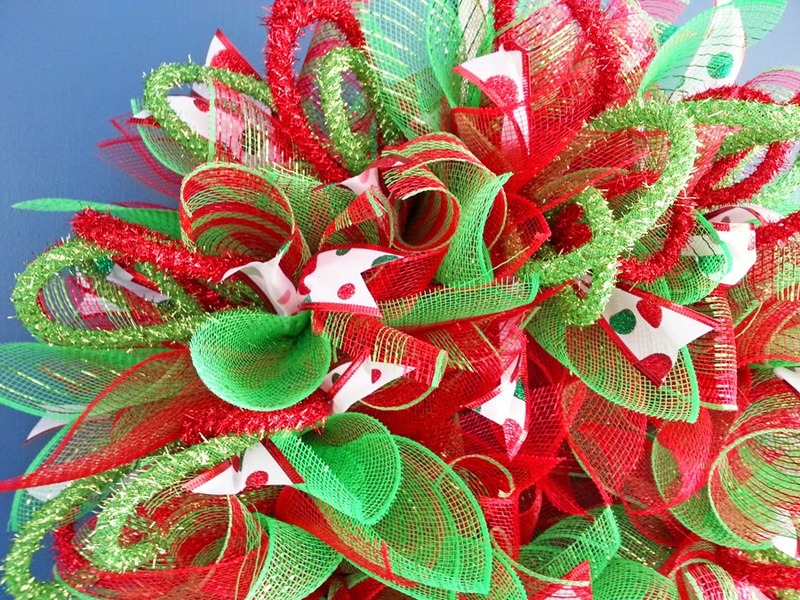 The base of this wreath is a 12" box wire wreath form. 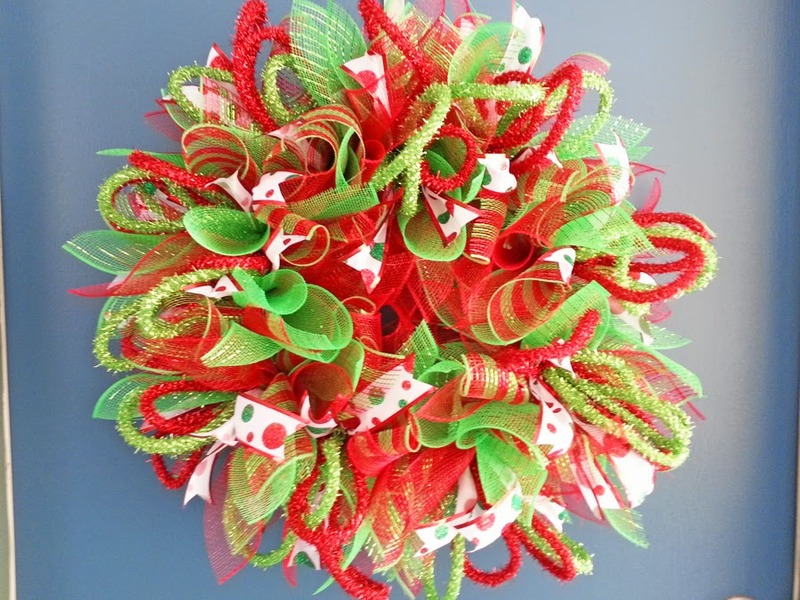 I used red deco mesh, green deco mesh, and a red/green striped deco mesh to make the 10 individual pom poms that have been attached to the wreath form with chenille stems. 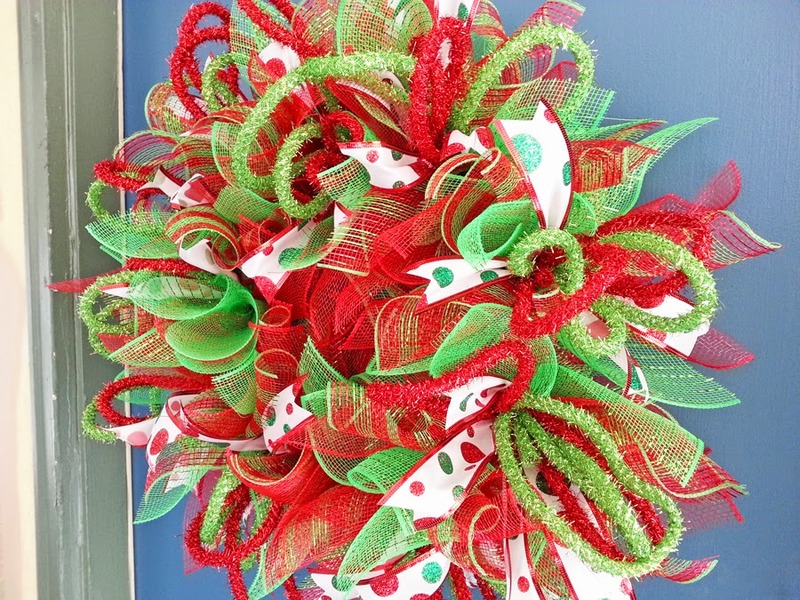 I used a white wire ribbon with red and green polka dots as well as green and red deco flex tubing to add a little something extra to the wreath. 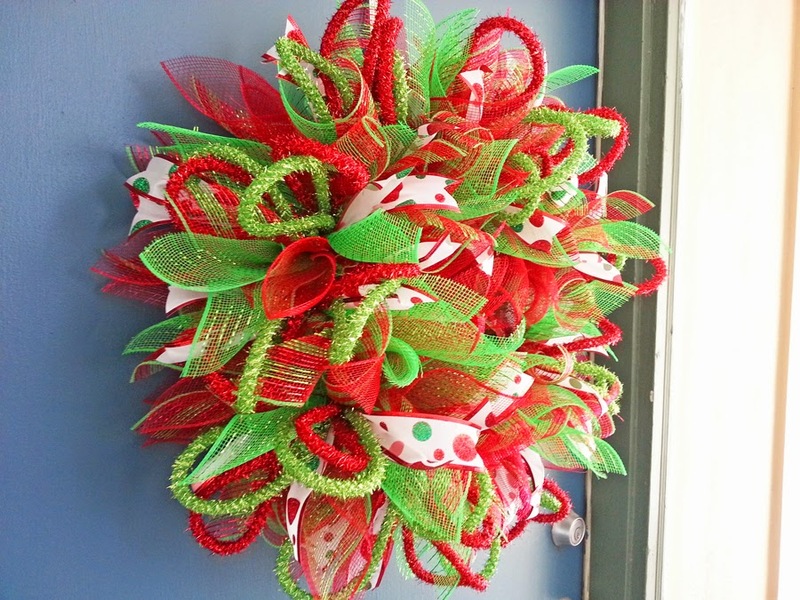 The completed wreath measures about 26" across and 10" deep.